My disk player door keeps opening and closing on its own. 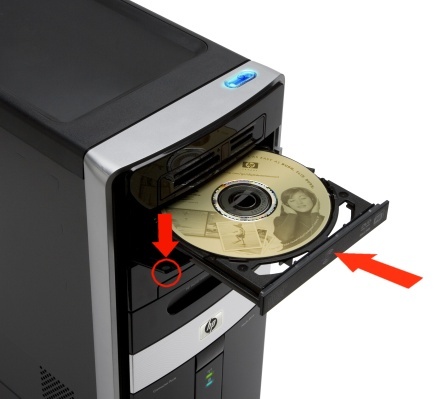 If your computer case has a drive door as part of the front cover, the drive tray might be catching on the door. Gently hold the computer cover door open (down) and press in on the drive tray to close the tray. If the drive tray closes, the tray is not sliding properly along the surface of the door. Clean the inside of the door and remove any foreign objects that have become lodged in the door. Make sure that the eject button on the front of the drive is not stuck closed (in the eject position). If the button is stuck try to depress the button using the eraser side of a pencil. Clean the button if necessary. Shine a flashlight inside the drive through the tray opening. Look for objects that have fallen inside the drive such as pieces of disc labels, pieces of a broken disc, or anything that has been inserted by accident. If the object can be easily retrieved, remove the object and try again. If not, service or replace the drive. Click here for more troubleshooting steps.